Fitting patients with a brain pacemaker could switch off hard-to-treat depression, believe UK experts. The technology, already used to treat Parkinson's disease, uses wires and a battery source to stimulate deep parts of the brain with electric currents. As well as helping depressed patients who have failed on all other therapies, it might also be helpful for treating obsessive compulsive disorder (OCD). UK neurologists said they planned to test this after promising US trials. Experts at Bristol University and the Queen Elizabeth II Hospital in Welwyn Garden City are currently looking to recruiting patients with OCD to take part in a trial that will start later in the year. This builds on the work of Professor Helen Mayberg, from Emory University School of Medicine in the US, who first began studying the use of deep brain stimulation for depression 15 years ago. 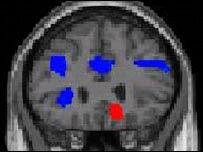 By looking at brain scans of people with severe depression that could not be alleviated with drugs, psychotherapy or other available treatments, she found they tended to have very high activity in an area of the brain within the limbic system, which is known to be involved with mood. These people also had lower than normal activity in the frontal lobe, which appeared to be linked to the abnormally high activity in the part of the limbic system that Professor Mayberg calls area 25. She reasoned that stimulating area 25 with electric currents would rebalance brain activity and alleviate depression. The device that she used consists of a matchbox-sized, battery-powered generator that sits in the chest, much like a heart pacemaker, and produces the electric currents. The currents are relayed to the desired area deep in the brain via tiny wires, channelled under the skin on either side of the neck. Her team implanted the device, under local anaesthetic, into six patients with severe, treatment-resistant depression. A year on and four of the patients say they have noticed big improvements in their mood with no side effects. 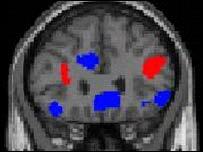 Brain scans show that they now have lower brain activity in area 25 and more activity in the frontal lobe. Professor Mayberg told a meeting at the Science Media Centre in London: "This is a very new way to think about the nature of depression. "We are not just exciting the brain, we are using electricity to retune and remodulate. "We can interrupt or switch off an abnormally functioning circuit." She said that although DBS was still in its infancy as a treatment for depression, it was very promising. "The effects were immediate. One patient told me she felt suddenly relieved. "These are the sickest of the sick. They are not just having a bad day." About 10% of people will have an episode of major depression in their lifetime. Conventional treatment will fail in about 10% of these. It is these patients who might benefit from DBS, said Professor Mayberg. Similarly, some patients with hard-to-treat OCD - an anxiety disorder characterised by intense, recurrent, unwanted thoughts and rituals that are beyond the person's control - might also benefit, according to Dr Naomi Fineberg, consultant psychiatrist at the Queen Elizabeth II Hospital, Hertfordshire. "There may be scope for DBS as a new treatment for refractory OCD." But she added: "It will always be an exceptional and rare treatment." Professor David Nutt, head of psychopharmacology at Bristol University, said it should be feasible for the UK to carry out such surgery. "We have the neurosurgeons in the UK who are skilled at doing DBS for Parkinson's disease. "There is no theoretical reason why we should not do the same for depression and OCD."